I’ve been a little grumbly at times about Animal Crossing: Pocket Camp (Free), I’ll admit. Perhaps I’ve just been frustrated that what seemed like a slam-dunk franchise for a mobile game seemed to almost completely miss the point. But I also haven’t exactly been quiet about my main gripe with the game, which comes down to just how little there is to do in it. Even the events have mostly had you doing the same old things and getting rewards. The gardening event was neat the first time, but now that we’ve had a few, it’s getting a little boring. 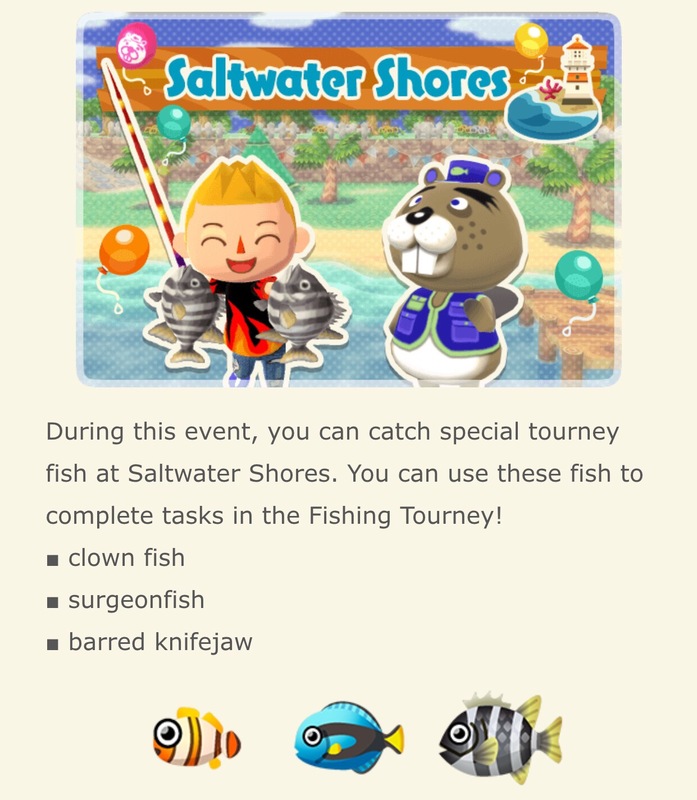 Well, the latest update to the game hit yesterday, and it seems to have brought a new type of event with it: a fishing tournament. Sort of, anyway. Unlike in the mainline Animal Crossing games, you’re not actually competing with anyone here. Instead, the goal is to catch as many special tournament fish as possible. The total quantity of the fish you deliver is calculated when you hand your latest catch in, and you’ll be rewarded with prizes at various intervals. One interesting note is that we can see a new type of monetization with this event. 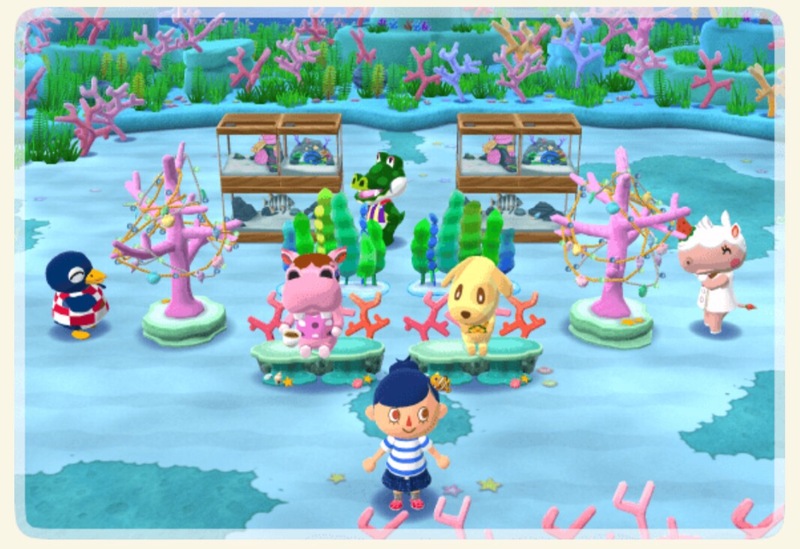 The host of the event, Chip, will rent you his special golden fishing rod, which allows you to catch twice as many fish each time. The cost? 80 Leaf Tickets. Well, it’s something to do with Leaf Tickets, I suppose. It’s too early to tell how the event is balanced, but it may be the case that you’ll need that rod to get every prize. Also interesting is that this event is overlapping the month-long event being run in celebration of MAR10 Day. We’re still in the first part of that event, which has players collecting Super Mushrooms to craft special Mario-related items. The Super Mushrooms aren’t quite as easy to come by as the special items in previous events, but the pace is slow enough that most players should be able to get the things they want without too much trouble. The trick will be in balancing the two on-going events, I suppose. This all follows on the heels of the game’s latest update, which added a few new features. First of all, fish and insects you catch will now have a size attached to them, and your best catch of each type will be recorded. Gardening is easier than ever now as you can harvest, water, and plant in batches rather than the maddeningly slow one-at-a-time method from before. The update also fixed a few bugs and presumably laid the framework for the current event. Only time will tell if Nintendo can get Animal Crossing: Pocket Camp in the shape it needs to be in to last as a long-term app, but I will say that I’m at least a little interested in the new event. Perhaps once Nintendo has a good mix of activities to bounce between for events, it’ll be a little easier to keep players engaged. Next PostNext ‘PUBG Mobile’ Soft Launch Released on Android, iOS Version Coming Later Today?